Shortly after she joined UCLA, University Archivist Charlotte Brown made a fervent plea to construction workers retrofitting Powell College Library back in 1992. If you find any documents of any sort, she told them, "please let me know." Two weeks later, the workers reported they had stumbled upon some 50 boxes stuffed with papers and magnetic tapes in a dusty, unused corner of the library's basement. From her office at Powell, Brown immediately phoned Elizabeth Stephenson, director of the Social Science Data Archives in UCLA's Institute for Social Research (ISSR). "You don't know me," Brown told Stephenson. "But we've found a bunch of documents and data tapes. Could you come here and take a look?" It didn't take Stephenson long to determine that the dusty boxes contained a veritable treasure trove. With the help of a codebook buried in one of the boxes, she could tell that the documents were original questionnaires and computer printouts pertaining to a pioneering study conducted at UCLA during the mid-1960s. Called the "Mexican American Study Project," the three-year study probed the social and economic conditions of more than 3.5 million people of Mexican descent in California and four other southwestern states. The project's original documents had long been believed to be lost. Their rediscovery was invaluable in helping two UCLA sociologists, Edward Telles and Vilma Ortiz, conduct a follow-up study that was published in an acclaimed book, "Generations of Exclusion: Mexican Americans, Assimilation and Race," last May. Part of what Stephenson and Brown do as archivists is make faculty aware of the support and resources available at ISSR and at the University Archives. 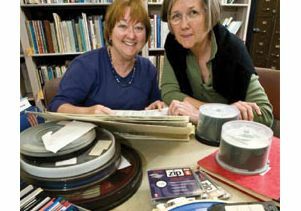 Although research from decades past is recorded on unwieldy and now-obsolete magnetic tapes, it can be vital to current research, and it's therefore important for faculty to know how best to conserve their data. "We try to encourage them to file their data with us," Stephenson explained, adding, "We're sort of open to whatever a faculty member might want to do to make their data available." Over the years, the archivist duo has contacted dozens of professors, who have the final say on who can use their research material. "Archives across the nation want research data and we ask faculty if they want to share it," Stephenson said. Among the faculty whose research data has been archived at the ISSR — on the institute's website — is Linda Bourque, a professor of public health who has done invaluable surveys for the past 30 years on how people adapt to life after earthquakes. 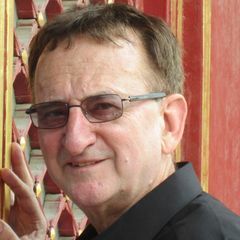 Also archived at the ISSR is the work of the late Dwaine Marvick, a political science professor who conducted research projects about the political attitudes and activities of people in California, West Africa, India and Germany. Tracking and preserving research data is like "a treasure hunt that requires digging around in all sorts of places and making serendipitous connections," said Stephenson. "You have to respect the value of data and forge a trust with faculty that you'll do the right thing with their material." 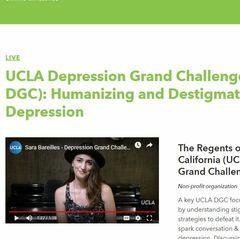 It's also about feeling connected to UCLA and realizing what a huge, vibrant and active campus it is, explained Brown, adding, "UCLA is so decentralized — finding data is like herding cats." On a typical day, Brown visits the homes of professors to check out the condition of their research data. "Their files are often in dusty garages," said Brown, which explains why she often wears a pair of denim jeans during her visits. The University Archives that Brown supervises has a stunning array of research materials and handwritten notes by some of the most brilliant professors at UCLA. These include two Nobel Prize winners — physicist Julian Schwinger and chemist Donald Cram. Biochemist Paul Boyer, another Nobel laureate, has agreed to donate his papers to UCLA, Brown said. One potential prize that Brown currently has her eyes on is research material generated by the Civil Rights Project. The nation's leading research hub on issues of civil rights and racial inequality, the center was co-founded at Harvard University in 1996 by Gary Orfield. A professor of education, political science, history and urban planning, Orfield co-directs the center, which adopted a new name — Civil Rights Project/ El Proyecto Derechos Civiles — when it moved to UCLA last year to focus more on civil rights problems in the southwest. Earlier this month, Brown ran into Orfield during a visit to Boelter Hall, where the professor's past research data is stored — no less than 600 boxes of material. "He wanted to know what he could do with his Civil Rights data sets, and I said, 'We'll take them all,'" recalled Brown. "That's serendipity!" Previous Story Rescuing forgotten treasures for the archive Next Story UCLA Med Center again "Best in the West"